Brian, a close friend of the L'Art Noir posse, gave up his job as a software company CEO after Hurricane Katrina, and decided to give back to his community by cooking for those in need. 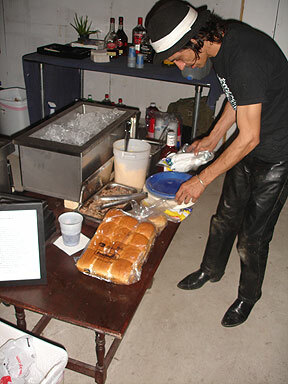 He operates a food truck locally, which he brought to the art show in '06. This time he brought pulled pork, macaroni & cheese, rolls, and carrots to the show.